San Francisco (Obama.net)- Every single person in the United States has one common fear: a potential terrorist attack. After the September 11th, 2001 attacks on the World Trade Center in New York City, anytime someone mentions al Qaeda, Americans tense up and hope that the news isn’t too bad. Unfortunately, now there is more bad news when it comes to al Qaeda threatening America and the men and women in the state. The same group under al Qaeda that tried to set off explosions on two airplanes this October has also tried to hit Americans at the dinner table. 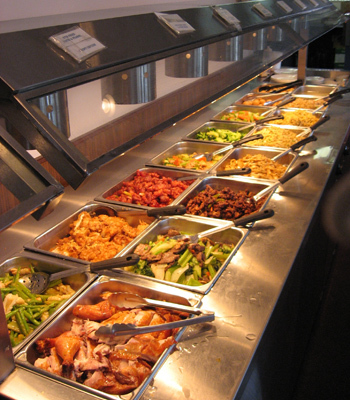 Reports released on Tuesday indicate that al Qaeda has been looking into poisoning buffet tables and salad bars at various high quality hotels and restaurants throughout the United States. Al Qaeda is said to have been hoping to poison the food with ricin and cyanide. American officials are saying that the reports by CBS News are old and outdated. Officials are also claiming that the likelihood of such an attack is very unlikely as al Qaeda members are not in the United States and thus unable to actually get to the hotels and restaurants to pull off the alleged plan. The reports are said to be simple talks between members of al Qaeda about potential attacks in publications. Through magazines published on the Internet, such as Inspire, al Qaeda members have been throwing around ideas like the food poisoning plot for months. To make sure that no such attack takes place, officials from the American government have spoken to hotel and restaurant executives to make certain that the food is properly handled and cooked so that no Americans have to worry about being poisoned. Homeland Security released a statement saying that “the counterterrorism and homeland security communities have engaged in extensive efforts for many years to guard against all types of terrorist attacks, including unconventional attacks using chemical, biological, radiological, and nuclear materials.” The statement was read by Sean Smith of Homeland Security. Some experts have made the argument that the poisoning of food in the United States is something that al Qaeda is in fact capable of. Whether the attack is something al Qaeda is seriously planning or just an idea that was tossed around earlier in the year, officials in the United States of America are preparing to fend off any potential attack.